Have you ever “people-watched” in Waikiki? If you take a moment to scan the beaches, you’ll likely see more than one Hawaii visitor with the tell-tale sunburn marks of a first-timer. I can’t help but cringe every time I see it — it’s gotta hurt! Chances are, those sunburn victims underestimated the power of the Hawaii sun. Or, maybe they brought a sunscreen that’s too weak. Maybe they forgot to reapply. Or maybe, like me, they’re confused about which sunscreen is most effective and why. 1. There’s no proof that sunscreens prevent most skin cancer: Rates of melanoma — the most deadly form of skin cancer — have tripled over the past 35 years. Most scientists and public health agencies, including the FDA itself, have found very little evidence that sunscreen prevents most types of skin cancer. 2. Don’t be fooled by high SPF: High-SPF products tempt people to apply too little sunscreen and stay in the sun too long. 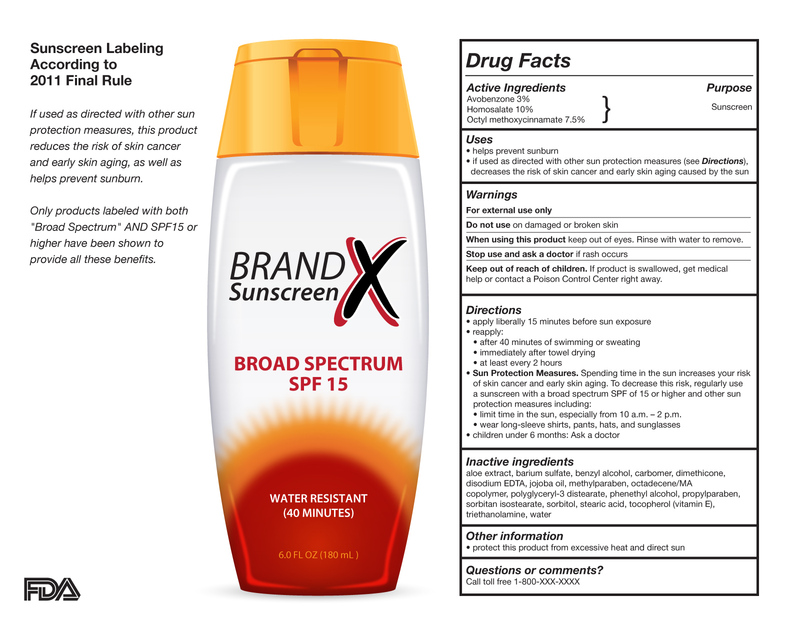 The FDA has proposed prohibiting the sale of sunscreens with SPF values greater than 50+, calling higher SPF values “inherently misleading,” but it has not issued a regulation that carries the force of law. 3. The common sunscreen additive vitamin A may speed development of skin cancer: Retinyl palmitate is an antioxidant that combats skin aging. But studies by federal government scientists indicate that it may trigger development of skin tumors and lesions when used on skin in the presence of sunlight. 4. European sunscreens provide better UVA protection: In Europe, sunscreen makers can formulate their products with any of seven chemicals that filter UVA rays. American manufacturers can use only three UVA-filtering ingredients. 5. Sunscreen doesn’t protect skin from all types of sun damage: SPF measure protection from sunburn but not other types of skin damage The sun’s ultraviolet rays also generate free radicals that damage DNA and skin cells, accelerate skin aging and may cause skin cancer. American sunscreens can reduce these damages, but not as effectively as they prevent sunburn. People can run into problems if they pick a sunscreen with poor UVA protection, apply too little or reapply it infrequently. 6. Some sunscreen ingredients disrupt hormones and cause skin allergies: Lab studies indicate that some chemical UV filters may mimic hormones or cause skin allergies, which raises important questions about unintended effects on human health from frequent sunscreen application. 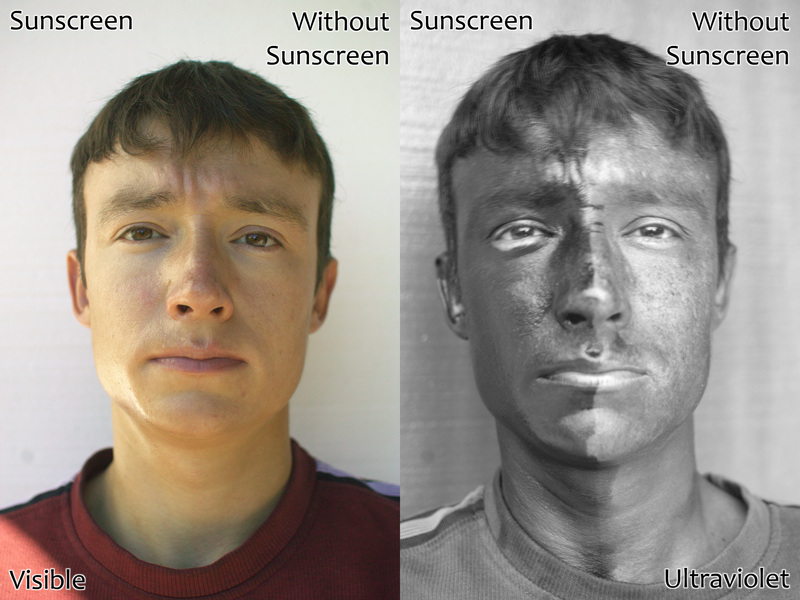 This image shows the effectiveness of using sunscreen. It's important to always use sunscreen in Hawaii, even if you're not going to the beach. 7. Mineral sunscreens contain nano-particles: Most zinc oxide and titanium dioxide-based sunscreens contain nanoparticles one-twentieth the width of a human hair, to reduce or eliminate the chalky white tint that larger particles leave on the skin. 8. If you avoid sun, check your vitamin D levels: Sunshine causes the body to produce vitamin D, a critical function that sunscreen appears to inhibit. Vitamin D, technically a hormone, strengthens bones and the immune system and reduces risks of breast, colon, kidney and ovarian cancers and perhaps other disorders. Even if your day doesn’t include a full afternoon at the beach, you still need to know your Hawaii sun — in fact, nearly all land and water sightseeing tours booked through Hawaii Aloha Travel include time in the sun. So, know your sunscreen IQ!